From left to right: SME TM executive vice president Azizi A Hadi, TM Selangor vice president Datuk Zaini Maatan, IJM Land Berhad chief executive officer and managing director Datuk Soam Heng Choon and Canal City Construction Sdn Bhd chief operating officer Shuy Eng Leong exchanging documents after the service agreement signing with Telekom Malaysia Berhad (TM) for high speed broadband in Bandar Rimbayu. PETALING JAYA: IJM Land Bhd has unveiled its newest development the RM11bil Bandar Rimbayu township development which focuses on sustainable lifestyles and strong connectivity elements. 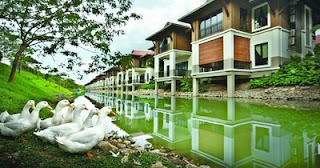 Bandar Rimbayu is a mixed-township spread over 1,879 acres close to Kota Kemuning. “The Bandar Rimbayu township reflects IJM Land's vision of what townships of the future would look like. The green township concept is in response to the demand from residents of the future who are becoming increasingly concerned about giving back to the earth. 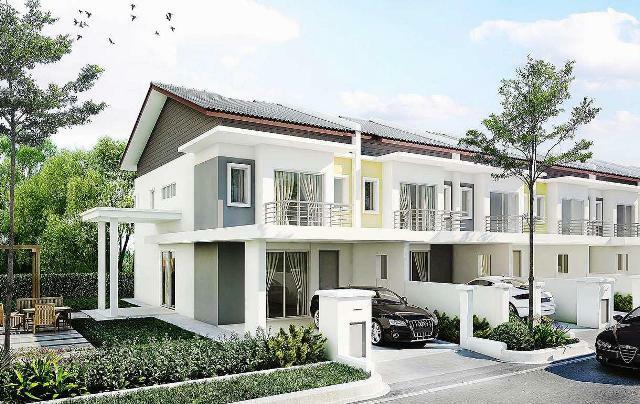 Also, homeowners of the future do not just want a house, they want a residence complete with a holistic lifestyle, thus we are offering a carefully planned and designed township that emphasises better quality of life,” said IJM Land managing director and chief executive officer Datuk Soam Heng Choon. 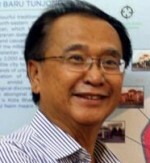 In addition to green living, Soam said the connectivity was also very important for Bandar Rimbayu. 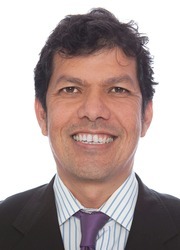 “This connectivity covers the physical where we make it convenient for residents to move around within the township and also beyond,” he said. In conjunction with the launch of the project, IJM Land has signed a service agreement with Telekom Malaysia Bhd (TM) for the provision of high speed broadband (HSBB) infrastructure in Bandar Rimbayu. 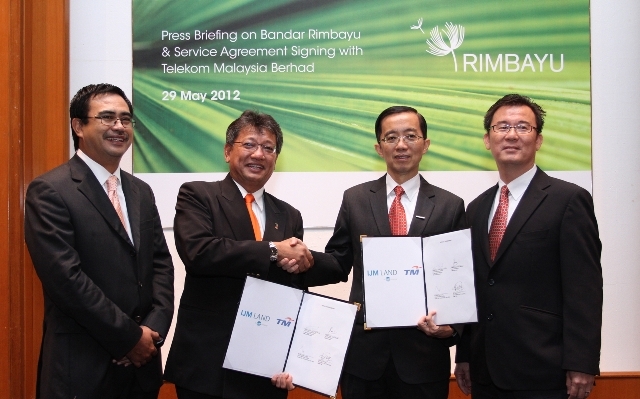 “With the collaboration, we will be offering TM's HSBB service, UniFi, to residents of our first phase free of charge for one year,” he said. 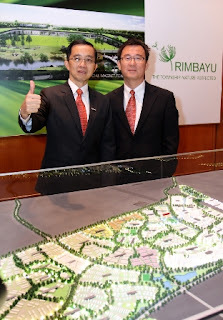 Datuk Soam Heng Choon (left) and Shuy Eng Leong presenting the scale model of the Bandar Rimbayu township at the media preview. Bandar Rimbayu's identity as a green township is further expressed via sustainable use of natural resources and environmental consciousness. Most notably, there will be more than 50,000 trees, palms, shrubs, flowering plants, aquatic plants, herbs and climbers around The Arc and Sales Gallery. Divided into four precincts, Bandar Rimbayu consists of Flora, a mixed residential area, Fauna, a mixed residential area with amenities including shops and a school, Bayu, a 280-acre high-end waterfront residential development by the lakeside; and the commercial hub, which include a canal, town square and service apartments. Bandar Rimbayu is targeted for completion within 15 years and will boast about 10,000 residential units. The launch of its maiden product The Chimes, consisting of 526 units of link homes, is targeted for the second half of this year. KOTA BARU: Kuala Lumpur-based Sara-Timur Sdn Bhd will be developing the RM600mil Kota Baru Sentral@Tunjung on 40 acres in a joint venture with Tunjung Development Corp and Perbadanan Mentri Besar Kelantan. Sara-Timur chairman Prof Emeritus Datuk M Zawawi Ismail said the project, which would be launched after Hari Raya in August, would incorporate elements of a modern lifestyle urban intelligent city. The project includes a village shopping mall, convention and function mall, leisure center, cineplex, boutique hotels, service apartments, office suites, a library and housing residences located in Bandar Baru Tunjung. Zawawi told reporters after witnessing the launch of the Rehda Exhebition here yesterday that the project would incorporate green technologies and attract investors from Kelantan as well as other states. It would be tailored to sustain economic growth. “It took Sara-Timur several years of careful planning to fully exploit the potential of the site so that investors can make the best from the new urban development,” he said. Zawawi also said Bandar Baru Tunjung has been selected as a new city to match the pace of Kota Baru town while the area would change over the next five years as environmentally-friendly features were incorporated. Meanwhile, Sara-Timur founder and managing director John Loi Hieng Yee said in a statement that the company chose to support the new development because of the incredible impact it would make on the lives of families and the community. He said the project provided attractive investment opportunities with the local government drawing private capital via a new strategy for urban redevelopment. Sara-Timur was founded in 1995 in Kuching but relocated to Kuala Lumpur. Its projects include Sutera Harbour Resort and Sandakan Habour Square in Sabah, Kuala Lumpur City Centre, Sarawak State Stadium. 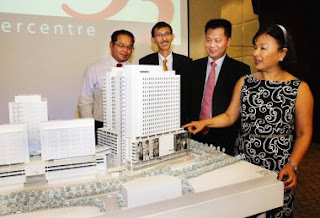 KUALA LUMPUR: SP Setia Bhd is aiming for half of its revenue to come from overseas projects in five years. “We want to be an international property player, not just a regional property player,” president and chief executive officer Tan Sri Liew Kee Sin said on the sidelines of Invest Malaysia 2012 conference. 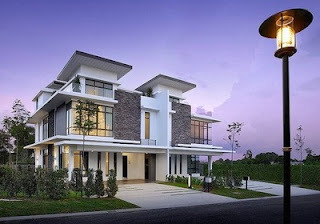 Liew said property developments in Melbourne, Australia, and Singapore were expected to contribute RM700mil to the group's target of RM4bil in new property sales for its financial year ending Oct 31 (FY12). 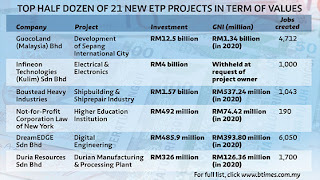 SP Setia's Malaysian projects are expected to contribute about RM3bil to the FY12 sales target while its projects in Vietnam EcoLakes and EcoXuan are also expected to do well. Liew told StarBiz that the group's Fulton Lane apartment development in Melbourne had achieved RM400mil sales since its launch last November, while its maiden project in Singapore, 18 Woodsville, had a 90% take-up rate since its launch in late April. “About 75% of our sales in Melbourne are to Malaysians. More than half of the RM250mil sales in Singapore are to Malaysians. 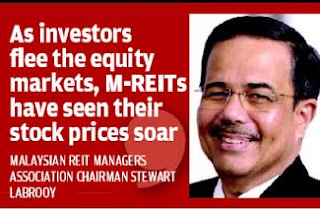 This is part of our two-pronged strategy, where we tap on the Malaysian demand for property in mature overseas markets,” he said. “When we go overseas, we become a much better developer. I am thankful. We learn so many things ... design concepts, practises and new ideas,” he said. 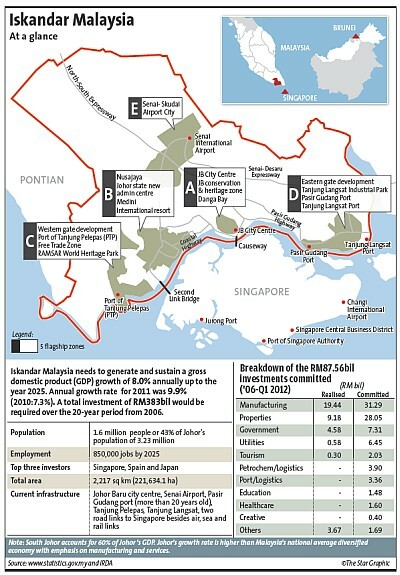 He said the group's remaining land bank of 4,319 acres (of which 88% is in Malaysia) should last for 10 to 15 years. SP Setia Bhd and Rimbunan Hijau Group are also in a joint venture with Qinzhou Jingu Investment Co Ltd to develop the Qinzhou Industrial Park (QIP), starting with the RM2.6bil start-up district of QIP. 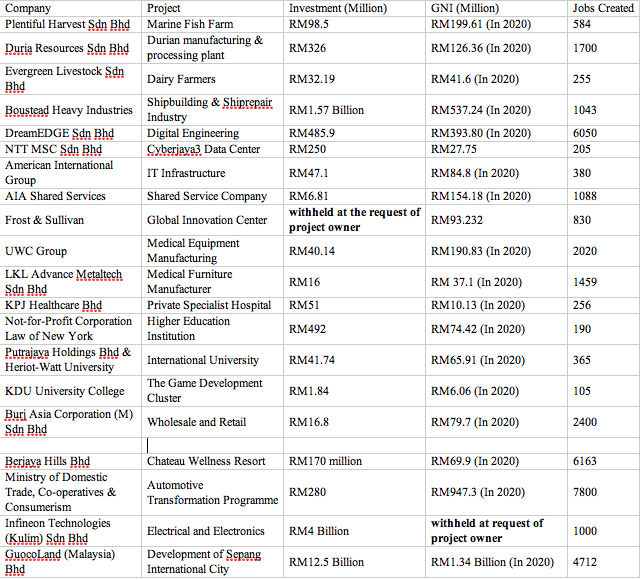 SP Setia will have an effective stake of 22.05% in the China joint-venture company to be formed. Liew also confirmed that SP Setia was one of the three bidders on an informal shortlist for the Battersea Power Station site in London. On the group's flagship Bandar Setia Alam in Shah Alam, Liew said about half of the 4,000-acre township remained to be developed. 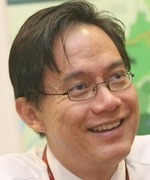 Liew said Setia City Mall, which was recently opened, had been a successful venture with about 50,000 visitors a day. “We do have plans for other malls in the future, subject to location,” he said. SP SETIA Bhd, the country's largest property developer, expects half of its sales to come from overseas projects in five years as it becomes an international property developer. The company anticipates overseas projects to contribute less than afifth to its total sales for the current fiscal year. 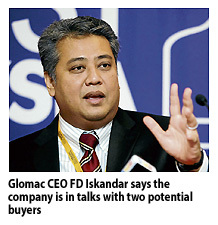 "We are on track to hit our RM4 billion sales mark by end of our 2012 financial year. From the amount, RM700 million will come from overseas operations," said SP Setia president and chief executive officer Tan Sri Liew Kee Sin on the sidelines of Invest Malaysia 2012 yesterday. "In five years, we expect 50:50 contribution from our local and overseas property projects. There's only so much growth you can generate from Malaysia. In order to expand the business further, we have no choice but to expand to the overseas market." Liew also confirmed that the company is one of the three shortlisted firms for the Battersea Power Station site in London. "That's all we know for now. If we secure the project, we will be very happy. But if we do not, we would not be going home empty pocket, as we have learnt so much along the way," he said. Among the things the company "learnt" in its journey to be an international player include placing the importance of greenery in a property and the significance of maintaining an iconic structure. SP Setia, which currently has over 1,720ha of landbank, said it is enough to keep the company busy for the next 10 to 15 years. About 88 per cent of the land is located in Malaysia. PETALING JAYA: Eastern & Oriental Bhd (E&O) saw its net profit for the fourth quarter of its financial year ended March 31 more than triple to RM42.37mil from the RM13.73mil registered in the corresponding period last year. The niche property developer said its encouraging earnings growth was mainly attributable to strong sales and higher revenue recognition as well as cost control initiatives. E&O raked in a revenue of RM210.57mil for the quarter, up 78% from RM118.06mil a year earlier. Earnings per share (EPS) improved to 3.84 sen from 1.29 sen previously. The company has proposed a final dividend of 4.25 sen per share, an improvement from the two sen it paid out in FY11. On a cumulative basis, E&O’s net profit stood at RM123.46mil for FY12, almost quadruple from the RM32.21mil it registered for FY11. 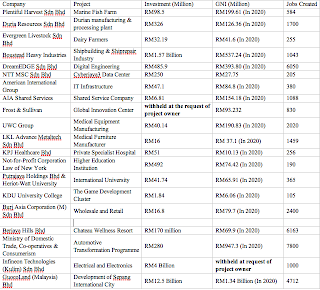 Revenue for FY12 rose about 81% to RM492.17mil from RM271.27mil in FY11. EPS for FY12 improved to 11.29 sen from 3.04 sen in FY11. In a statement, E&O said sales for the period under review stood at RM786.78mil, while unbilled sales were close to RM1bil as at March 31. 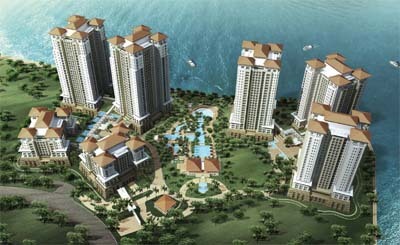 Key contributors to sales included E&O’s landmark Quayside Seafront Resort Condominiums at Seri Tanjung Pinang, Penang, launched in 2010 and currently close to 90% sold. 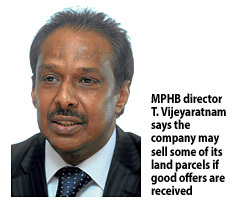 PETALING JAYA: Hong Leong Group's property arm Guocoland (M) Bhd will invest RM12.5bil under the Greater Kuala Lumpur National Key Economic Area for the development of a 4,000-acre eco-city in Sepang. The gross development value of the Sepang International City is RM48bil and the project is expected to contribute RM1.34bil to the country's gross national income and create 4,712 jobs. 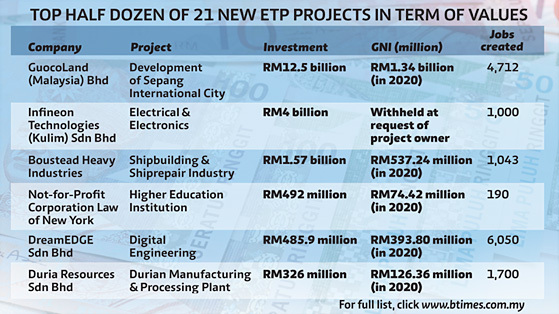 The investment is the biggest from a single Entry Point Project (EPP) partner under the new 21 Economic Transformation Programme (ETP) projects announced by Prime Minister Datuk Seri Najib Tun Razak at an ETP Progress Update briefing yesterday. Managing director Yeow Wai Siew said Guocoland was in the midst of getting the approvals for construction works to begin. “We are now going through the proper application and planning stage with the Federal and State Governments. 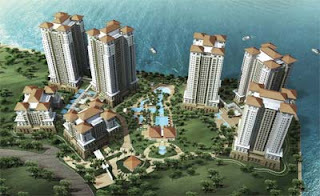 Hopefully we will be able to start the development in one-and-a half years' time,” he said. Yeow said Guocoland was also talking to international investors for the project. 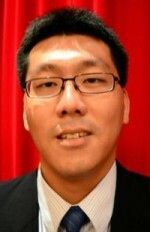 “There are a lot of investors from East Asia now, especially from Japan and China, with some from Singapore,” he said. He noted that since Japan's March 2011 tsunami disaster, Japanese investors had been looking abroad for property that they could use for emergencies. The seafront development in the southern corridor of Selangor will include commercial, business, residential and leisure developments, a hub for institutions of higher learning and a large world-class urban park modelled after the Central Park in New York City. 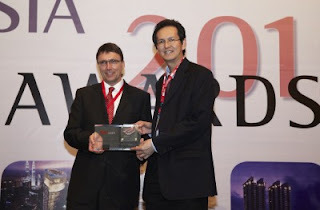 Award recognition: Dr Krups (left) presenting the award to Tong. Property developer Dijaya Corporation Berhad (Dijaya) was awarded the BCI Asia Top 10 Developers Award 2012 at the BCI Asia Awards 2012 ceremony on May 22 in Kuala Lumpur. This award is a testimony to Dijaya’s ongoing endeavour to strengthen its Tropicana branding and create high-quality and innovative property developments in which people want to work, live and play. This year, Dijaya is part of the top 10 Malaysia developers whose combined portfolios contain US$3bil (RM9.4bil) worth of properties. 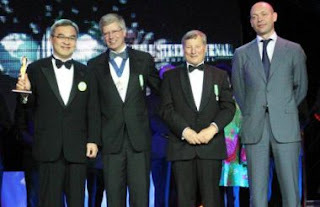 Dijaya managing director Datuk Tong Kien Onn received the award from BCI Asia chairman Dr Matthias Krups. Now into its eighth year, the BCI Asia Awards is a regional event attended by the industry’s top architects and building professionals in Hong Kong, Indonesia, Malaysia, the Philippines, Singapore, Thailand and Vietnam. This event highlights key industry players that enable the market to better understand the important roles the organisations play as well as their impact, both socially and on the environment. The BCI Asia Top 10 Developers Award recognises key industry players in the country. PETALING JAYA: Boustead Holdings Bhd's net profit rose 22.4% to RM144.6mil for the first quarter ended March 31, from RM112.2mil a year earlier, on higher revenue. The diversified conglomerate saw its revenue rise to RM2.4bil from RM1.6bil a year ago. Boustead is involved in six key sectors of the economy, namely plantations, heavy industries, properties, finance and investment, trading, and manufacturing and services. Earnings per share of the group improved to 13.98 sen for the first quarter compared with 10.85 sen a year earlier. Boustead said all its business divisions recorded an increase in revenue during the quarter. Its manufacturing and trading division saw higher sales volume, resulting in a 23% increase in revenue to RM1.26bil, while its pharmaceutical division's revenue rose sharply to RM446.7mil from RM28.7mil a year ago, reflecting the consolidation of Pharmaniaga Bhd. Boustead's plantations division, however, saw only a marginal increase in revenue to RM263.8mil from RM254.4mil previously, as lower palm product prices trimmed the gains of a higher crop. Its cumulative fresh fruit bunches crop totalled 282,171 tonnes, up 11% from a year ago, but the average palm oil price was only RM3,143 per tonne, down RM398 or 11% from RM3,541 per tonne in the corresponding period last year. For the first quarter, the plantation division contributed a slightly lower pre-tax profit of RM92.2mil, compared with RM99mil a year ago due to lower palm product prices. Boustead's finance and investment division posted a cumulative pre-tax profit of RM26.1mil for the first quarter, up from RM11.9mil a year ago, largely on higher profit contribution from Affin Group. Its property division also registered higher pre-tax profit of RM40.4mil compared with RM12.2mil a year ago. This was attributable to the gains from the sale of land. The only division that saw a deficit was its heavy industries, with a pre-tax loss of RM5.4mil due to losses at the commercial shipbuilding segment and the fact that work on the second-generation patrol vessels have yet to move into full swing. Given its overall positive results, Boustead declared an interim dividend of 7.5 sen for the first quarter, which was an improvement from eight sen a year ago. For the coming quarters, Bousted expects its plantation division to perform well on positive outlook for crude palm oil prices. It also expects its pharmaceutical division to continue registering good growth. 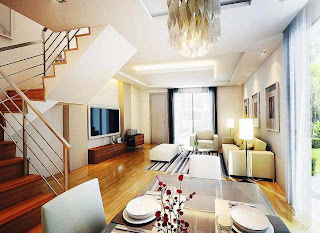 As for its property division, Boustead said it expected the Surian Residences in Mutiara Damansara, which was already 98% sold and expected to be completed in mid-2013, to be the main revenue contributor for the division. Its hotels and retail mall operations, on the other hand, are expected to perform satisfactorily. Earnings at its trading and manufacturing division for the remainder of the year, Boustead said, would be driven by its BHPetrol operations.